Home/News/Need Efficient, Capable, High-Value Material Sourcing? Staying competitive in an ever-evolving business landscape can be challenging. Finding efficiencies within your business through costs savings, turnaround times, identifying redundancies, and/or eliminating risks can make the difference between winning or losing a project or making enough margin to be profitable. Building key relationships is another important strategy for any business’ success. 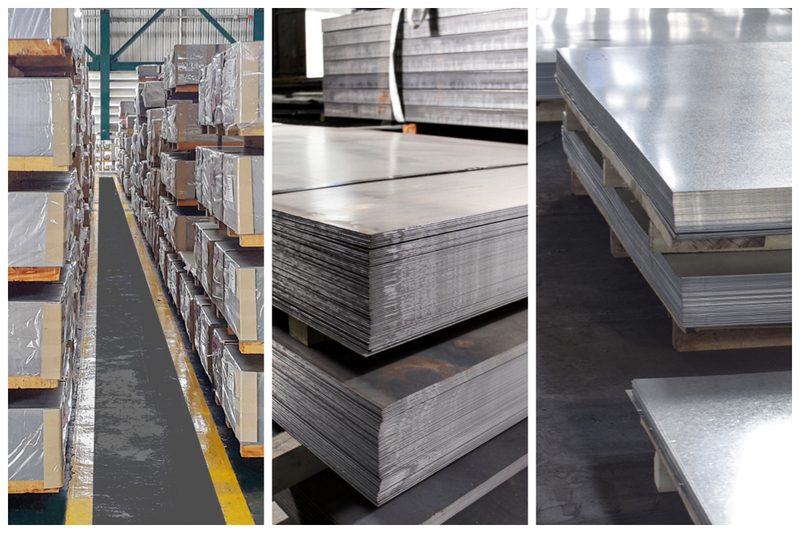 We have been buying from our steel vendors since 1994. We have a great relationship with our vendors due to the accumulated volume and this translates into buying power; we can get better delivery times, better sourcing for really hard to find materials, and because of these relationships, we get preferential shipping times which only benefits our customers for time-sensitive parts and for cost. At any given time, we warehouse around Two Hundred Thousand Dollars of material in-house which saves our client’s money and time as we can get to work on their job quickly. Our ability to purchase in bulk for our own in-house inventory saves our customer’s money, even if they only want one part cut. These businesses can greatly benefit from working with us. For our walk-in customers, we can help them by providing our in-house project managers, designers, programmers, and our sourcing expertise to assist them in producing their parts. This is a major saving for them as the cost for all of that personnel would be prohibitive for a small company or start-up. If a larger enterprise wishes to work with us exclusively for all of their cutting needs, we work with them to provide a significantly reduced cost in conjunction with our continued, high-level quality finished product. We have the ability to handle large volumes of orders for mass scale projects. We excel at large complicated jobs. We are known within the industry for a quick turnaround. Again, our relationships and inventory influence our ability to be “first to market” on most projects – giving our clients a competitive edge when responding to time-sensitive deadlines. If a customer is in a real pinch, we can expedite their job to meet their timeline. When we survey our long-term customers, the number one feedback that we receive is that our finished product is of the highest quality of any of our competitors. We work really hard to solve the customer’s concerns around rare thicknesses, materials, and complications which may arise. We are known for being exceptional problem solvers and project managers. We are the only Industrial Laser and Water-Jet Cutting Company within Calgary that is ISO certified. That is a big deal! This means that we adhere to a very high global industrial standard which is not easy to acquire or to maintain. Delivering on our jobs at the highest level of quality helps our clients save money in the long term by producing products of lasting value. We have access to ALL kinds of materials for various projects, including rare and difficult to find materials. If you are running into challenges sourcing something unique, finding a certain size or thickness, or getting a good price, we may be able to help! – All types and grades – 2024, 5052, 6061, 7075 etc. – All types and grades 304, 316, 310, 430 etc. – Acrylic – 0.02” to 2.0” thick. – Rubber, Foam, Nylon, Gastron, UHMW, Teflon etc. 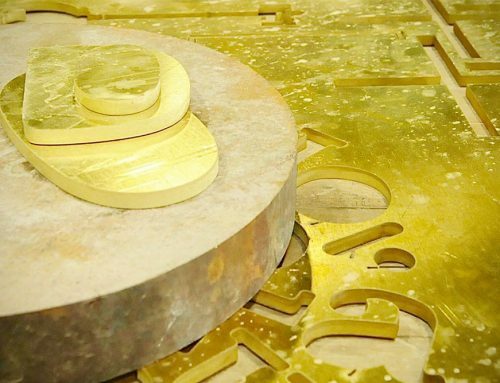 We have cut nickel alloys, gold, silver, titanium, niobium, laminated materials, all types of wood, brass, copper, bronze, marble, granite, corian, ceramics, brake pads, grating, fiberglass, silk, paper and many other materials. Please enquire. 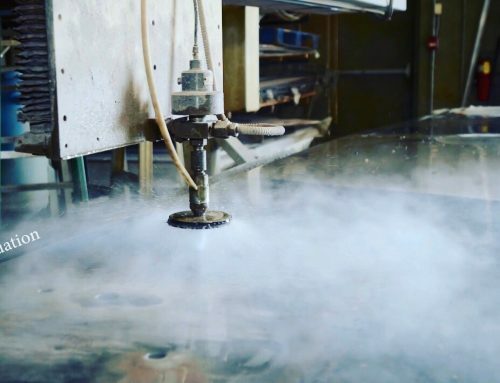 Our standard lasers cut to 5’ X 10’ and water-jets cut to 6’ X 10’. Oversized parts can be cut – please enquire. We have also cut many 3 dimensional items from large enclosures, pipe, tubing, to channel and many other items – please enquire. Our goal is to always provide our customers with 100% satisfaction. There are times when a mistake has been made either from our side or their side and we always work with our customer to find the solution and correct the mistake. Being ISO certified informs our customers that we are serious about excellence and in addition, we receive multiple emails monthly from our customers expressing their gratitude for the work that we did for them whether that be for a quick turnaround, sourcing a very hard to find material, or just for our professionalism. We would like to extend an invite to anyone who is thinking of having some material cut. Please come by for a tour of our shop and see our 4 Industrial Lasers and 3 Industrial Water-Jets in action! You can speak with our knowledgeable team to share your ideas and get an estimate on the cost of your project(s) and learn more about how we can help serve you best.